The new Perfecto2 is the smallest, lightest, quietest and most energy efficient 5-liter concentrator ever produced by Invacare. The Perfecto 2 is a contemporary, patient-preferred design, the high-performance Perfecto2 unit incorporates all of the best features of the market-leading Platinum XL concentrator, while significantly improving upon the key specifications of the Platinum XL. This is one of the best home oxygen concentrators on the market, it has quiet operation and is very energy efficient. The Perfecto2 concentrator represents a quantum leap forward in the evolution of oxygen concentrators. The Perfecto2 concentrator represents a quantum leap forward in the evolution of oxygen concentrators. 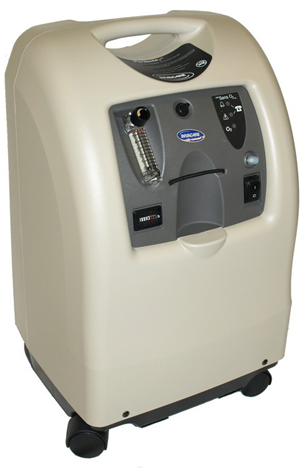 The Perfecto Concentrator is about 30% smaller and quieter than the Platinum series oxygen concentrator. he new Perfecto2 is the smallest, lightest, quietest and most energy efficient 5-liter concentrator ever produced by Invacare for homecare use. Packaged in a contemporary, patient-preferred design, the high-performance Perfecto2 unit incorporates all of the best features of the market-leading Platinum XL concentrator, while significantly improving upon the key specifications of the Platinum XL. Available with or without the SensO2 oxygen sensor, the Perfecto2 concentrator represents a quantum leap forward in the evolution of oxygen concentrators. he Perfecto2 powerful compressors are compatibility with homeFill oxygen tank filling systems. This system also has a direct hook-up for homefill units so you can use it as it while it is connected and filling the Homefill system.